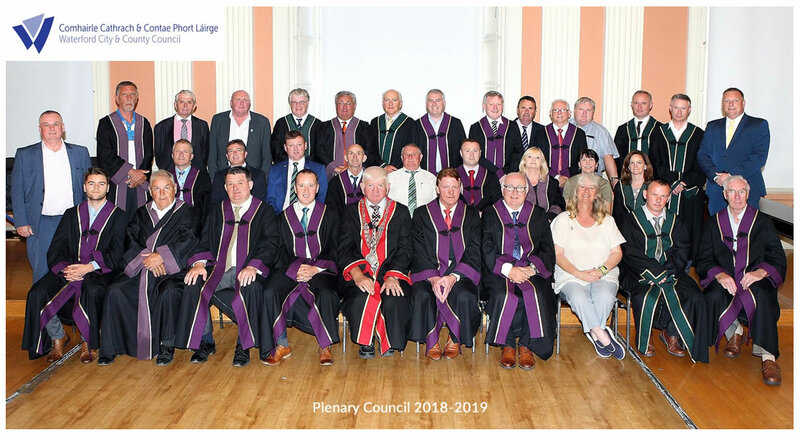 The Plenary Council is the term that refers to Waterford City & County Council as a whole, it being the sum of the constituent districts of Comeragh, Dungarvan/Lismore and the Metropolitan District of Waterford. The Plenary Council has 32 elected members, each representing one of the above named districts. The current members of Council were elected in the local elections held on 24th April 2014, at which date the former entities of Waterford City Council and Waterford County Council were amalgamated. The current chairman (Mayor) of the Plenary Council is Cllr. Declan Doocey (FG). The deputy Mayor is Cllr. John O'Leary (FF). Each Elected Member of Waterford City & County Council, the Chief Executive and Members of Senior Management Team are also designated Public Officials under the Regulation of Lobbying Act 2015. The Plenary Council meets once per month, with meetings scheduled for the second Thursday of every month. Venues alternate between the Council Chambers in Waterford City and those in Dungarvan. There is no meeting of the Plenary Council in August. 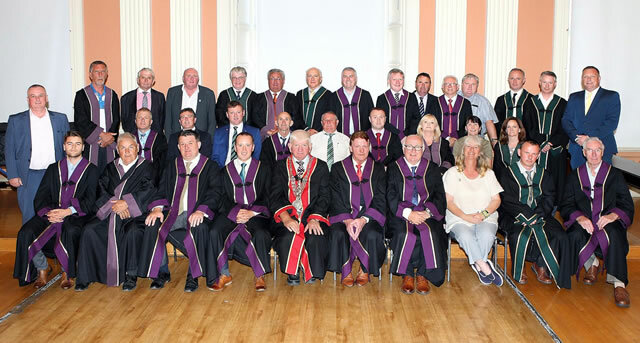 The current Plenary Waterford City & County Council, with senior management officials, June 2018. You can find the names and contact details of your local Councillors here.